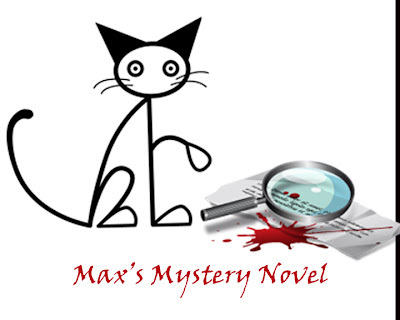 If you are new to following Max's Mystery Novel... you'll find Episodes 1 thru 8 by clicking on the picutre like this one in the column to the right. All the episodes except this one are there. Thank goodness HH finally recognized that I wasn't dancing on that folder for my health. The folder was much thinner than it was before Fred was murdered. I was positive that the murderer had stolen something out of it. "The pictures...? Where are the pictures Fred had with his manuscript?" Now, we're cooking, I thought. HH was finally catching the drift of my message. She picked up a yellow sticky note that she had stuck to the pictures. It read... "Two copies. One for office and one for Stefanie." "At least Stefanie has a set of those pictures and we can look at them to see what the murderer was after," HH said to me. I followed her to Stefanie's desk. You have to understand that Stefanie had just started and wasn't completely moved in. She rented one of the office spaces in Writer's Creative Studio from HH and paid part in money and part by doing the photography and design work for HH. I jumped up on Stefanie's desk to get a better look, but at a glance, I knew that the pictures weren't there. There wasn't a folder fat enough to contain the pictures. I thought she had put them in her briefcase to take home, but I didn't know how to convey that to HH. HH pulled out her phone and called Stefanie's number. I watched her intently as she waited. Finally she said. "Oh... who's this?" "Yes, I'm the owner of Writer's Creative.... Yes, yes it is.... Sheriff Johnson? Stefanie what? Okay. We'll be right there. HH hung up the phone and turned to me. "Max.... Stefanie's been kidnapped. We have to go over there. You think you'll be good on a leash? You can find clues better than anyone." This is getting very exciting. What a great detective you are. Of course a kitty would be the one to find the clues and solve this kidnapping. Can't wait to read what is next. I know you will get to the bottom of it Max, tell us more! This is so exciting. I can hardly wait between installments! 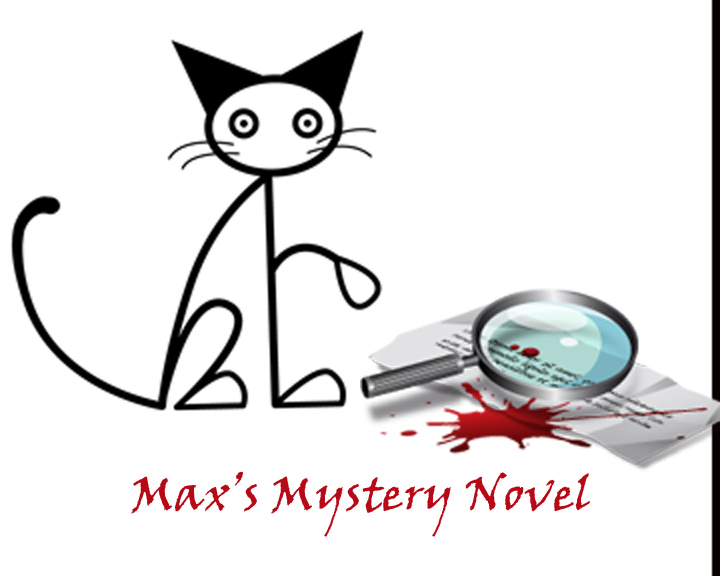 Have no fear when Detective Max is on the case! This is a great story. I can't wait to find out what happens next. Detective Max ... Sigh. wow this is great! i am reading it to BA, she's fassinated. GO MAX!! We feel safer just being your friend! Coloring Book - Have a look! The story of Bugsy and Knuckles - the formative years! This used to be (and always will be in spirit) Max the Quilt Cat's Blog. On 3/8/13, he gave it over to Bugsy and Knuckles, his nephews. Max has gone to the bridge and advises them when necessary. Bugsy and Knuckles on the other hand are Double Trouble. Come join us for their antics. Everybuddy welcome.... P.S. 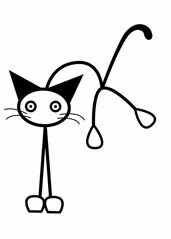 ... HH is our food human and we let her blog now and then too... She's also a writer and artist and displays her paintings on Cat-A-Day Paintings. There's a badge to click on to go there. Gifts For The Shih Tzu Lover In Your Life! The Diary of Smudge, Spider and their pet human. Boy oh boy have I been gone for a long time! The Most Terrifying Halloween Movie EVER!! Re learning the potty/apartment living update. Can you please help KittyKitty? Max on ... human toys. I want one of these.